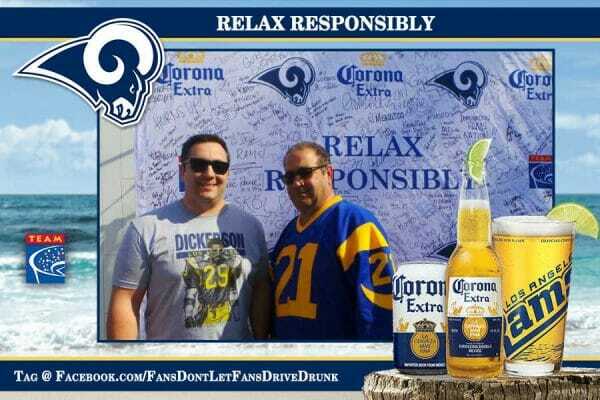 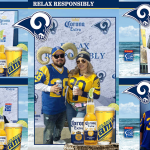 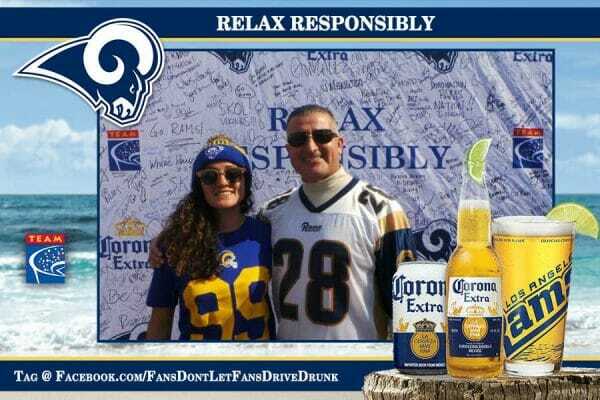 Responsible Rams fans had the chance to pose for a souvenir photo and enter the Corona Extra Responsibility Has Its Rewards (RHIR) Sweepstakes at the Los Angeles Rams vs. Seattle Seahawks game at the LA Memorial Coliseum on Sunday, November 11, 2018. 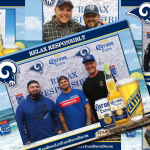 Corona Extra and TEAM Coalition are partnering with the Rams all season to promote responsible drinking at the Rams home games. 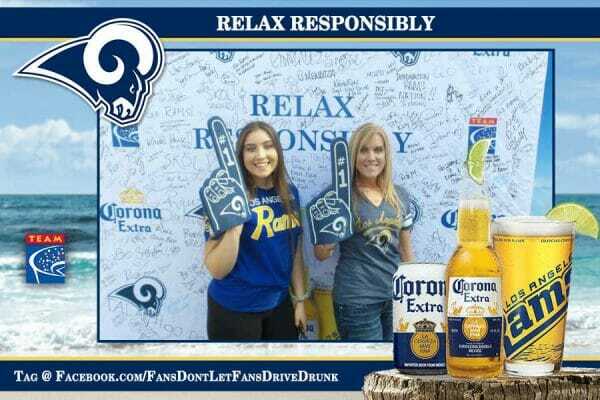 180 fans made the pledge to Relax Responsibly – never drive drunk and always have a designated driver. 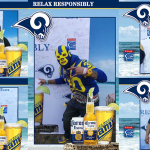 One responsible fan was randomly selected as the weekly grand prize winner of the RHIR sweepstakes. 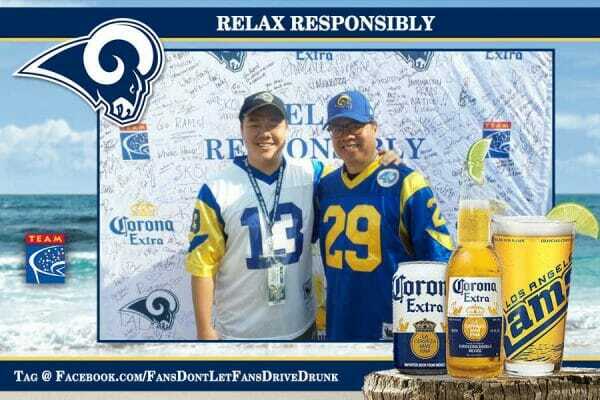 The prize included a $250 NFLShop.com gift card. 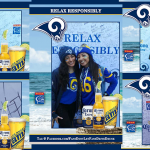 The 49 photos taken have been shared 153 times via text forwarding and social media, an average of 3.1 views per photo.